That's the message from Gov. Kate Brown to President Donald Trump regarding the partial government shutdown, according to the latest Twitter beef. The shutdown of some federal agencies, which is now the longest in the nation's history, has left some U.S. government employees without pay — and has affected national parks here in the Beaver State. That includes the Mt. Hood National Forest Sno-Park, where bathrooms have gone uncleaned and trash uncollected. So it seems that Dan Little, the lesser-known hubbie of Gov. Brown, decided to take matters into his own hands. According to a Twitter post, Little visited a bathroom in the Sno-Park, and found it covered in trash from an overflowing garbage can. He gathered the garbage, and then dropped it off at the Metro South Transfer Station in Oregon City. A receipt posted online shows Little was charged $28. Gov. Brown, however, wants Trump to foot the bill. "This is just one of the many reasons I love my husband, Dan," she wrote. "He visited Mt. Hood National Forest Sno-Park, and like many national parks across the country, found it a mess due to the partial government shutdown. 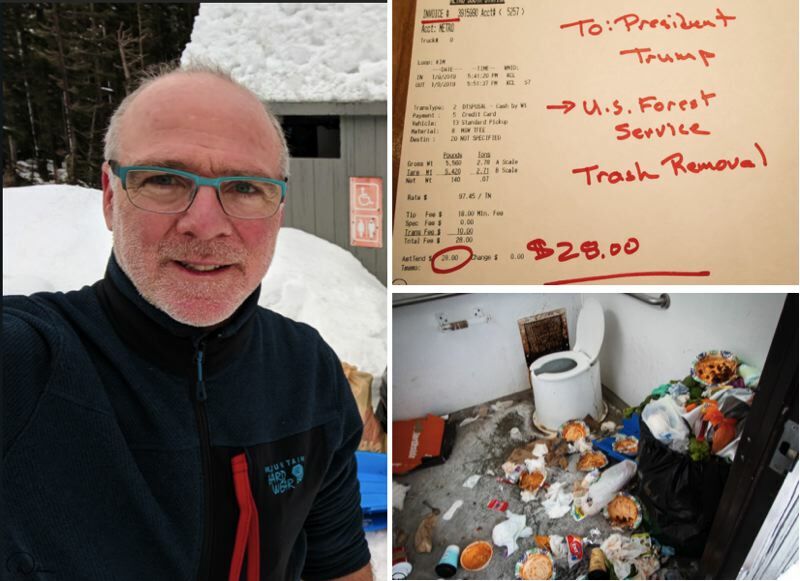 He cleaned the bathrooms—and sent the bill to President Trump." Trump has tweeted about 14 times in the last 24 hours, but he hasn't responded to Brown's demands so far.